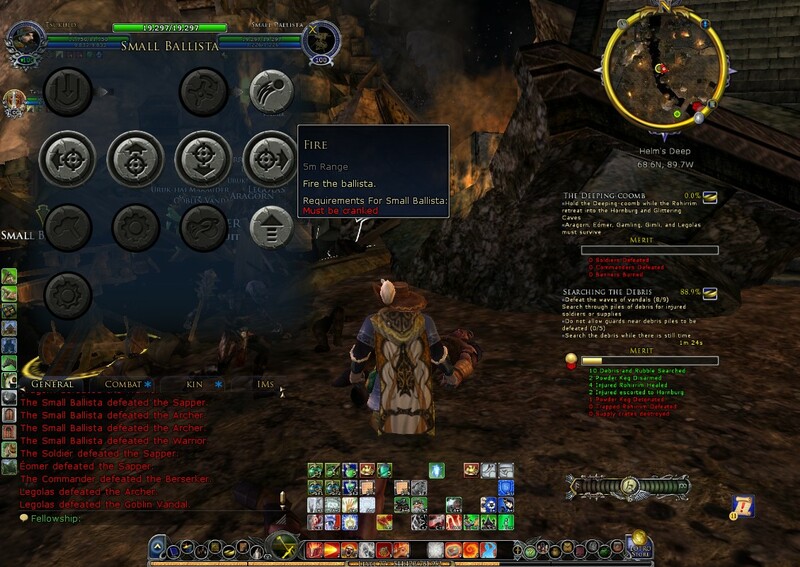 LOTRO: TP Grind for Quest Pack DONE! 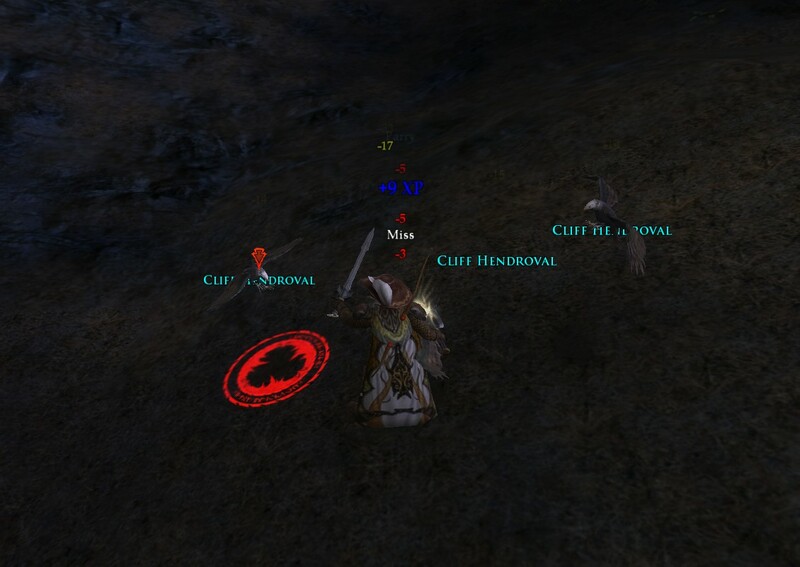 Thanks to a 1 legged hobbit on RP server Laurelin, Opopa in Breeland, saved the day and did enough slaying of spiders, bandits and orcs (all completed including ADV); as well as basic deeds for wights and barghests; ruins, dunedain and barrow down exploration; and finally Bree rep. 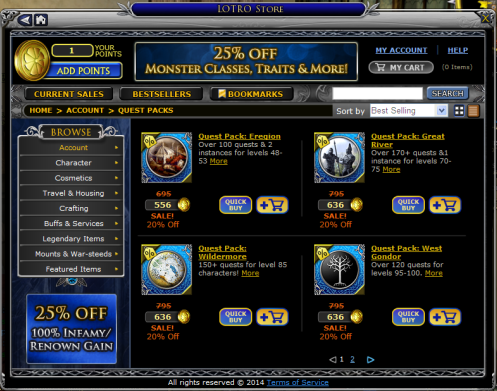 I was able to get Lothlorien Quest pack in the 20% sale at 556 tp with 1tp left over! Burglar play was quite fun…especially liked that he looks like he runs as if on speed – is that the hobbit run animation? Not helped by useless daggers (lv10!) and was amazed to see how expensive a busy server AH is! 7gp for lv20 cyan jewelry! And it may be busy but no lv20-30 daggers on sale! If you can help my poor helpless 1 legged hobbit on Laurie give him a PM, even better invite him into a nice kin! I am sorry he is a bit of a lazy beggar, a drunk and a thief… a true RP hobbit burglar! 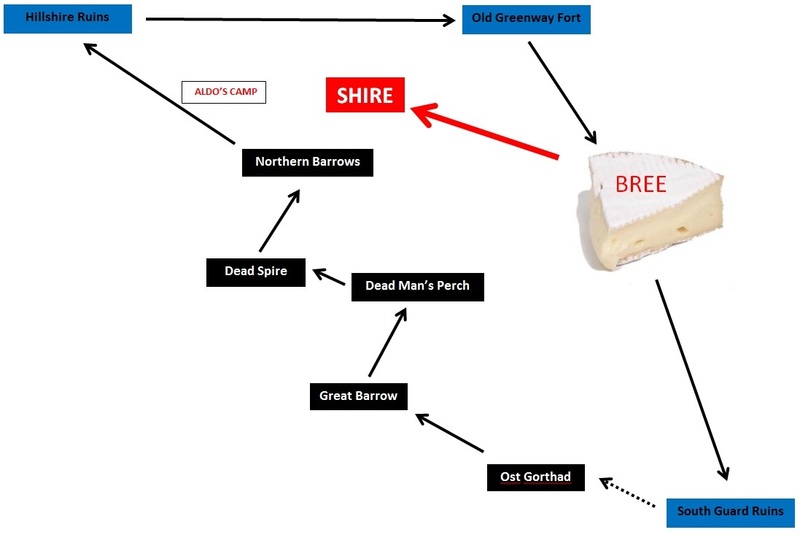 But anyway… Madtsu is going mad running back and forth at the whim of hobbits of the shire… hating those pies! Mad goblin makes the chop! Last bag of post on its way! I managed to finally get Madtsu to be a living Bounder! At times it felt like I would never complete 75 quests…with 6 pies left to go it looks like Madtsu has been too helpful! 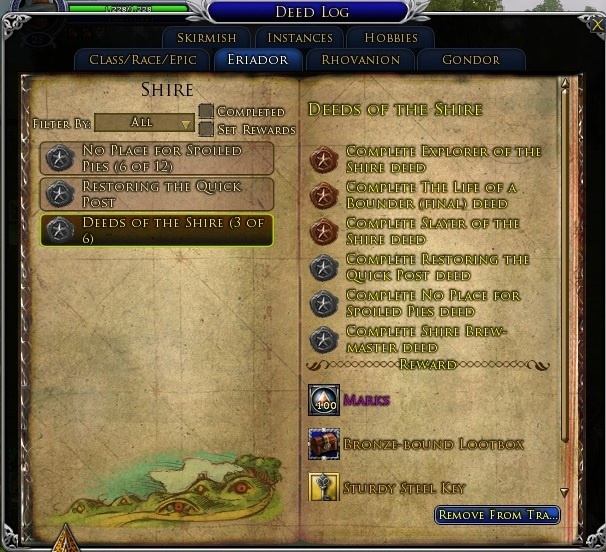 Madtsu is running the Shire for TP, yes this is part 2 as am missing the screenshots for the part 1 (Buckland to Shire, wolves and flies deeds)… This is no speedy TP run as I am trying to grab every single TP possible which means doing quests, and hobbit quests are to be honest rather irritating! I didn’t intend to, when I started, but I will try to finally try to complete a Pie deed run, I have never ever completed it on any char during 3 years of play and I think I have about 15 alts (4 servers) all over level 20! I must be mad…well this char is MadTsu McMad! Finds stage plays with big firework! 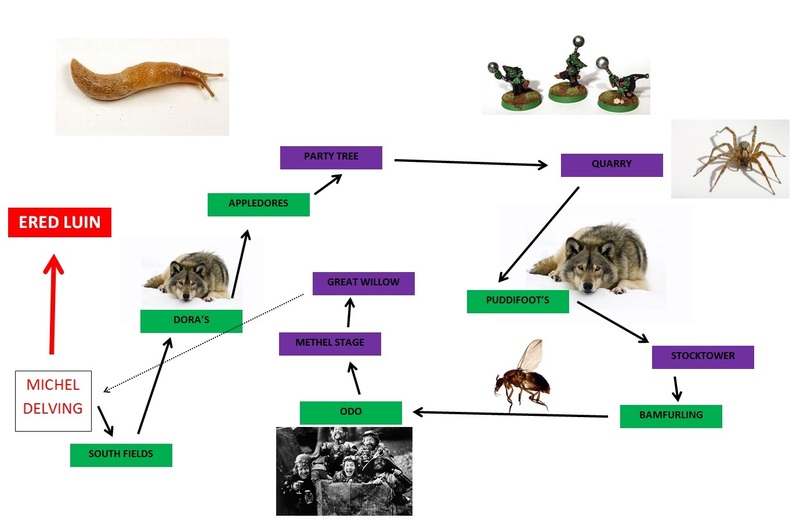 Slug slaying: honest more buzzing flies r killed than slugs! 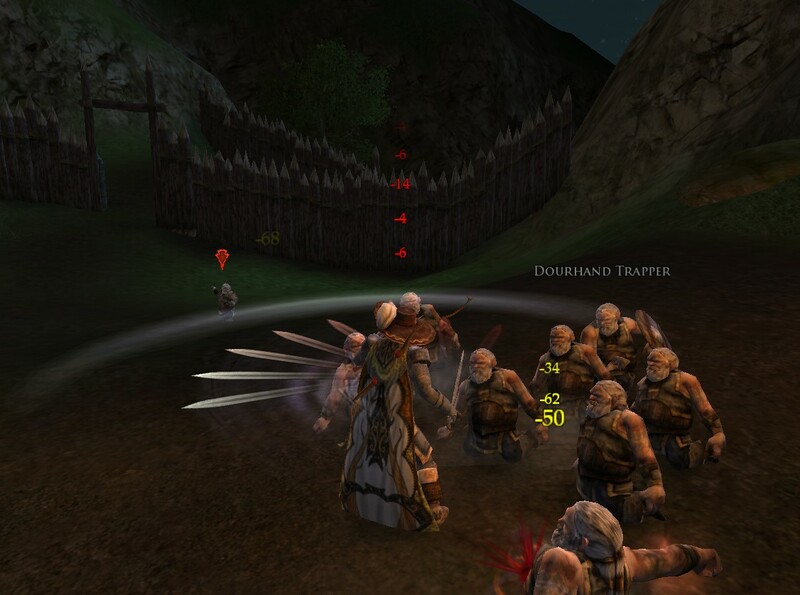 Kneel down before me evil dwarves! Oh silly Sally dilly dallying around. Such a silly billy although not a goat but a sow! The grind continues..maybe I bring you part 1 tomorrow and also part 3 if your really lucky! Madtsu is running through Ered Luin, started at lv16…and the advantages of being ‘on level’ (well ish) demonstrate themselves in the YELLOW champs ability to take out big crowds together…and on level can easily pick up a nice pack of cannon fodder by running by. Gordamon and time to complete wolf slaughter, there is a small wold den on top of the hill just outside the North gate (follow cliff to right and then head back along cliff top to find it… round them up and KILL! That wolf bit through me! Here is a You Tube vid of a champ with about a 70 mob pull! CEBU always has an alt in the AH! Taltoz helped with my mark and med problem by running Tsukuld through some BB’s… If u build it Tsu will use it! Basically all I did while doing the BB’s, I thought I was doing ok until I realized that Taltoz was also killing stuff with a ballista! Really they should give a kill report at the end! You have arrived at the BOTTOM! Am in the process of optimizing as I still spend too long doing this run, over 2 hours! 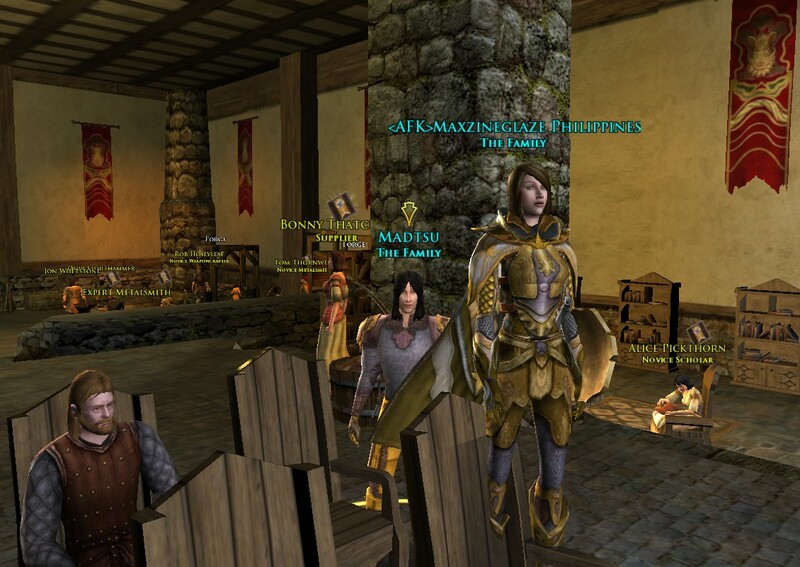 Oh wonders will never cease…actually did get to play some LOTRO this night, just an hour but enough time to basically wrap up preparation for planned TP grind to start over the Weekend. 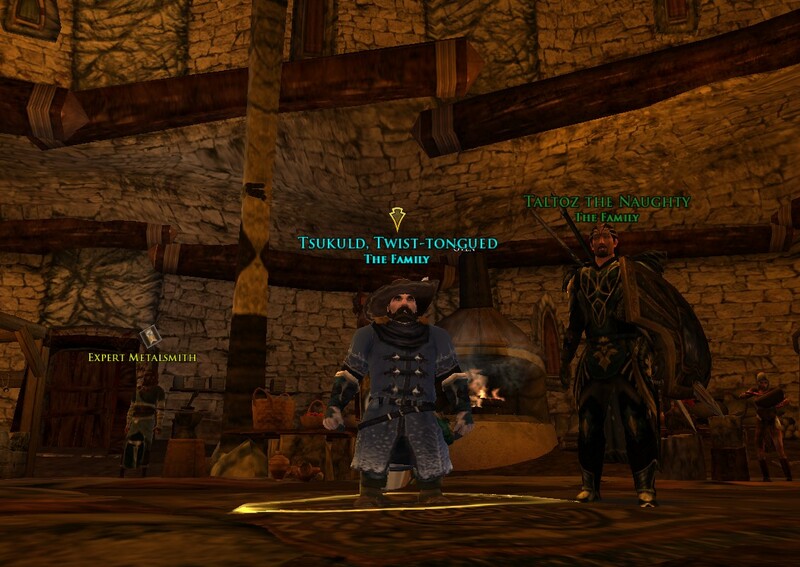 As quickly as possible I logged in and out on all chars for Hobbit presents, Tsudryt did a little bit of buying and selling and weaponsmith guild rep crafting! 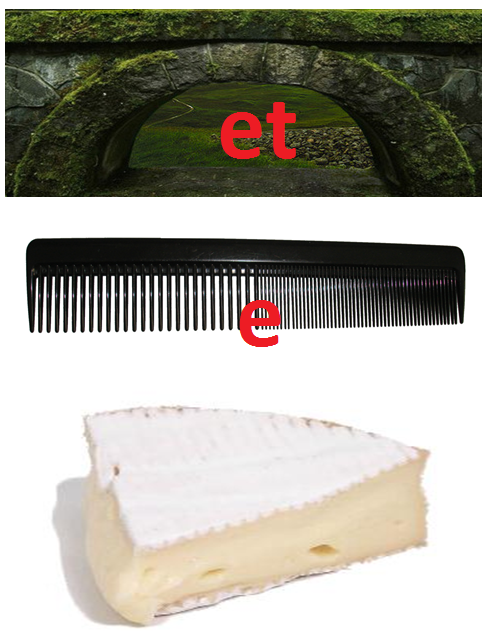 1min 10secs used on creation: Human Champ Random..#1 ugly, #2 ugly #3…that is Captain Jean Luc Picard! 5 mins was used setting up UI and options on this new char! 41mins 1 sec and I finally start the instance to end the Archet area. 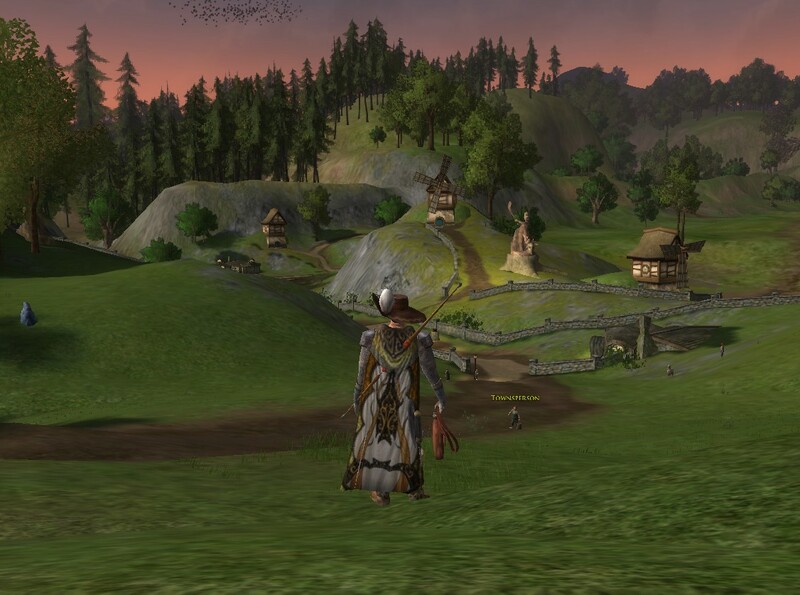 46 mins finished instance, hurrah am now in the real world…er real game world of LOTRO! 1.24 Shared across armour for lv 7 and 10 as well as some overflowed jewellry. Back to Combe and off again. Picking up all quests and running into Chetwood. In his new purple best! 1.31 killed a red squirrel by accident! 2.42 Log out to resupply, need lv 12 and 15 gear. Cloaks and sword done up to lv15…missing swords for lv18 as no barrow iron! Scaly armour…reminds me of roof slates…ugly! And the helmet, don’t get me started on the helmet! Tour of bree or not? …ok do IT! more spiders to the North between slugs n gobs! 26.00 willow …then stage! map is reversed! 2100 45 mins of stupidity in Rath Teraig ..in Gondamon and though it would be a little short cut to Celondim…it was not! …spiders done and most of goblins…got killed by elite gobs…my own stupidity. Nr 1 son should not enjoy killing spiders so much…he loved it! 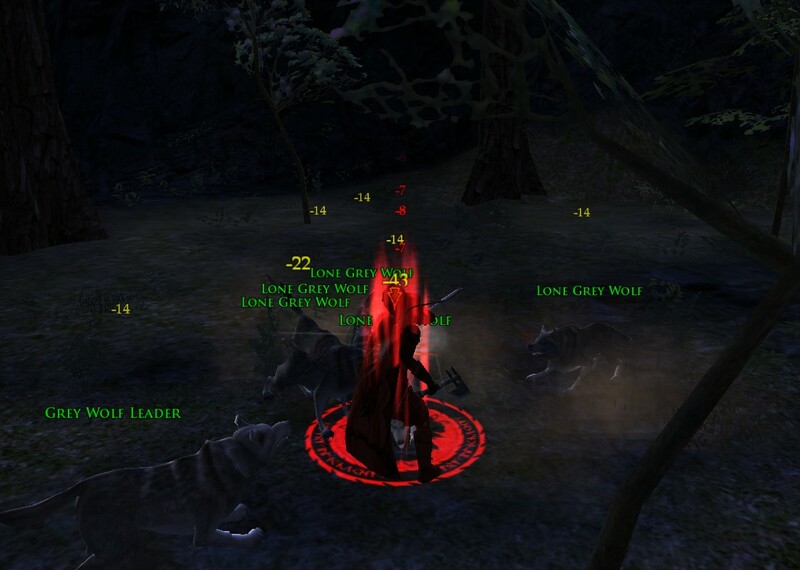 Am running this at level 17 but very close to level 18, most of mobs in this part of Ered Luin are now greyed out…which makes picking em all up and smashing them a bit slower… without the extra VIP XP would be slightly lower and maybe would actually be quicker. Maybe I am not generating TP as fast as I would like but I am enjoying this run. 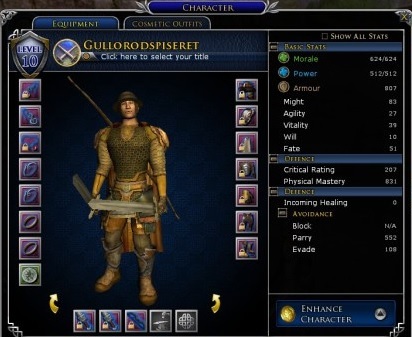 LOTRO: Riders of the Storm! My understanding wife, who let me cry on here shoulder when I realized I had missed a super offer in Gamestop for $5 Mithril Edition of LOTRO let me buy this, before this sale came along I was contemplating buying the full price mithril anyway! After purchase I instantly received the update code so I applied it and checked payment status: F2P no more…now PREMIUM! 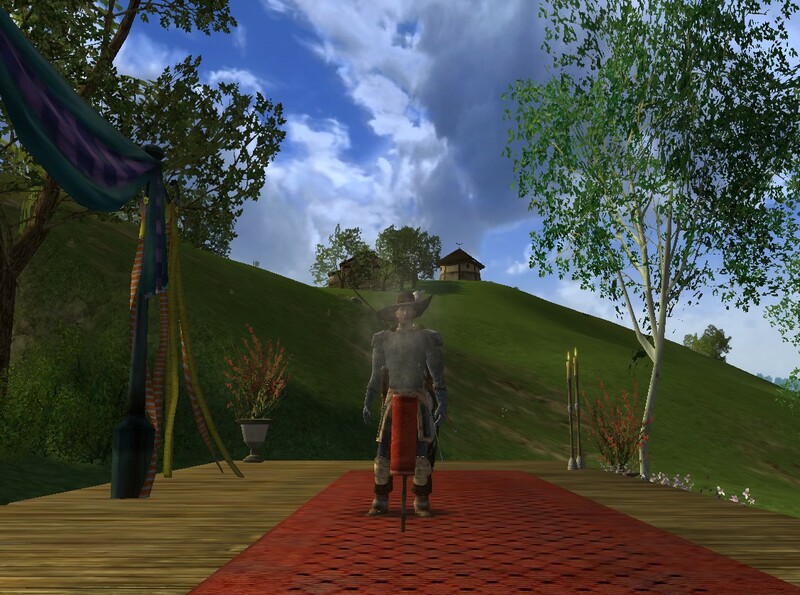 All servers do have 1 more slot…I sense a scholarly moment approaching, Scholar coming soon to windfola! Dwarven rune keeper? AH has 5 more sale slots, I have 15 on each char now. Priority logging in…er no difference detected! Waywnn sent money to Tordy via the post…OH yeah this make AH duty a bit easier! All chars had a 6th bag…and a 5th bag for free!!!!!! I had 2081TP to spend…OMG…Trollshaws purchased straight away…want Misty Mountains and Shared Storage..but cannot afford both! So with over 1500TP will be grinding for more soon! Armour of the Eastemnet (full cosmetic set) but no cloak or leggings! Tsuhelm tired of freezing in his summer, hippy best changed into this …very nice but I was really hoping to get the cloak as well…checked and that was pre order only…looks cool though! Crystal of Remembrance – to be stored away for when I get a legendary weapon…I presume will be better to keep to ‘final’ legendary weapon! Exclusive Rohan Content: http://casualstrolltomordor.com/2012/06/ror-legendary-pre-order-exclusive-rohan-content/…Oh I want to be a horse! The difference between Premium and F2P is real small, maybe Turbine (WB) should work on that, the first purchase is the key, as once that is cracked the player will continue…well if the store works…I have never had a problem. What would have incentivated me to upgrade earlier? A cosmetic outfit: yeah, if good. A mount: no unless really cool! A premium welcome pack of diverse scrolls etc: yep that would be nice. Yes I am a petrochemical/hydrocarbon guzzler when it comes to LOTRO! 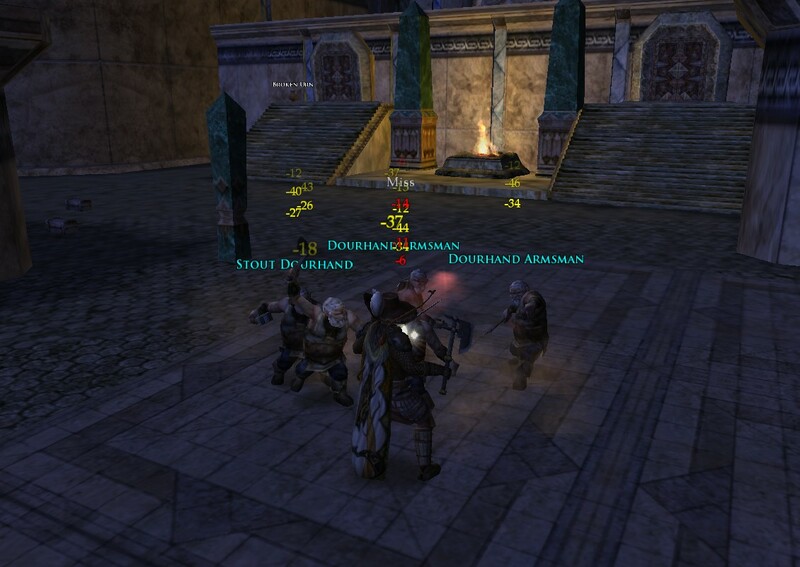 LOTRO, Warden raising Fist in Air, Evendim is ground out! Waywnn trudged it out last night what should have been a blast turned into a slog… should have skipped lots of quests while wrapping up north of Bree, Orc slaying Deeds, part 3 (final) Bree land adventurer and the Dunuden deed for 40TP – 3TP more than needed to get Evendim Area. Waywnn, levelled to 21, Wardens are tough and fun to play but really wish they had more of a AoE effect! Slowly learning the combinations, and they do slowly beat down any crowd of admiring fans! I was even getting 6 or 7 Orcs beaten down at a time last night and walking away, more slowly than my champ but much more interactive! Waywnn is a fist waver! Lot of screaming as well, have to make sure the volume is low or wake up kids! 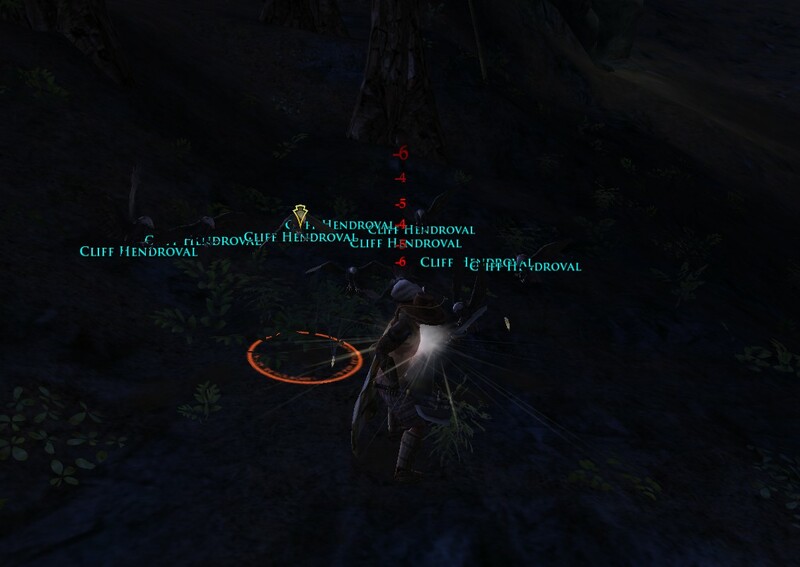 Was actually busy just logging in to all chars and checking post, hobbit presents and what on earth they were up to…. Big clean up this weekend…will try to keep active chars to a minimum otherwise I just confuse myself…today I had to log into Tsuhhere twice to check stuff. 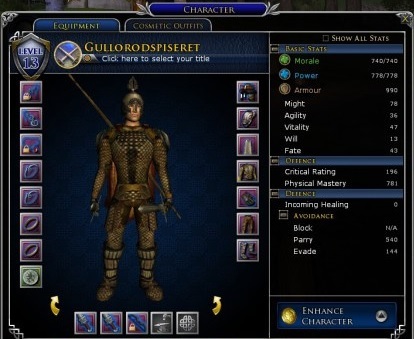 Evendim and Angmar to be explored: amazed to find that Tsuhelm and Dyort had already started with 2 and 3 quests, respectively, completed under the Wanderer of Evendim…odd that! Life is good…and I have 3TP to spend! Here is an amazing collection of DEED maps: I think that is all of them! puts my efforts to shame…they are so clear and easy to follow. LOTRO: outta pub, nabbed some flowers and DIDN’T die! This morning Opopa staggered out of the bird and baby and outbid others in the Auction House for some new equipment…he almost went out on an adventure but he decided that later it might rain and his wooden leg would act up so hopped back into the B&B for another pint…he is living off the generosity of the hobbits who just keep on giving: really 16 ‘10% speed scrolls’…cor he will be zipping around on 1 leg for ages, if he ever stops partying! TsuHHere bought some new jewellery and headed out to wrap up part 2(adv.) 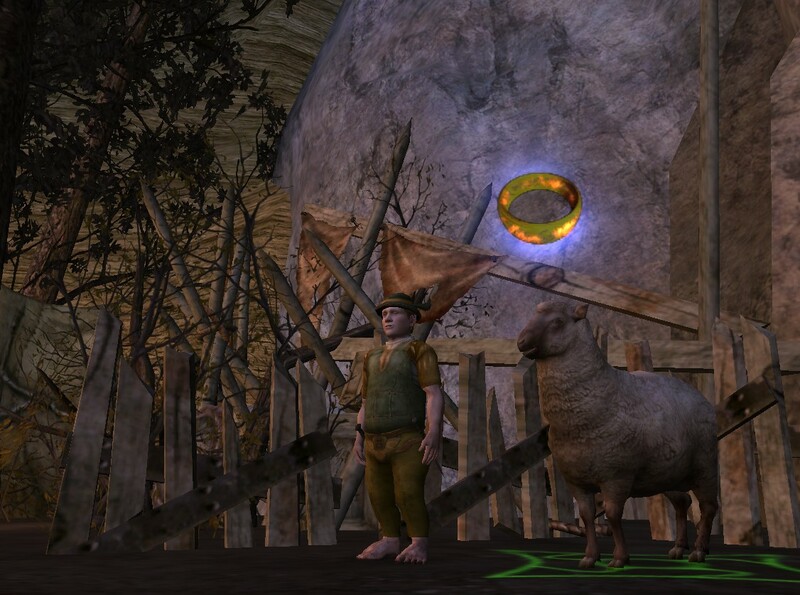 of Bree Land Adventurer by helping out those friendly Hobbits in Staddle. Oh what fun: kill some boars, collect some flowers, kill some bears run back and forth as matchmaker, steal back stolen weed. Now ready for final part and then fly and neeker slayer deeds in the swamp! Waywnn also nearing the end of the 2nd part of Bree Land Adventurer…but in Southfields (he skipped low Bree levels to go direct to Ered Luin – in hindsight a mistake! ), so killed some boars, killed some bandits (adv slayer deed! ), collected metal, hides and lost papers…got to lv20. Horse Rustling due to LOTRO Lottery! 6 stolen mounts, new title should be horse rustlers! So good start to the day! She hacked and slashed giant spiders under Minas Eriol, cutting out eyes, burning bodies and collecting spider cocooned treasure! 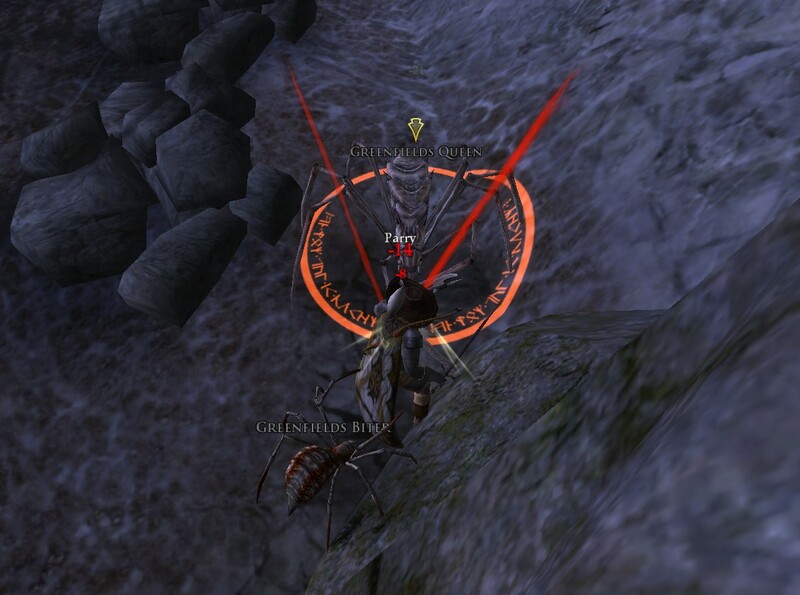 Blended smaller spidy brethen when encountered and quite speedily did the first part of Spider slayer deed. After finding her way out of this little spiders den and selling all junk collected in Forsaken Inn, she handed in quests at the Eglain Camp just North of Minas Eriol. 20TP in the bag…check store for total…402TP available…check sale for price of Evendim….476 needed…oh dear 54tp needed still. 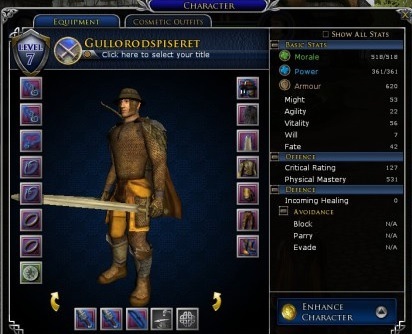 Er…4 more LOTRO sessions available: 2 almost guaranteed morning slots of 1-1.5 hour and 2 less likely late evening slots, wife and kid dependent! 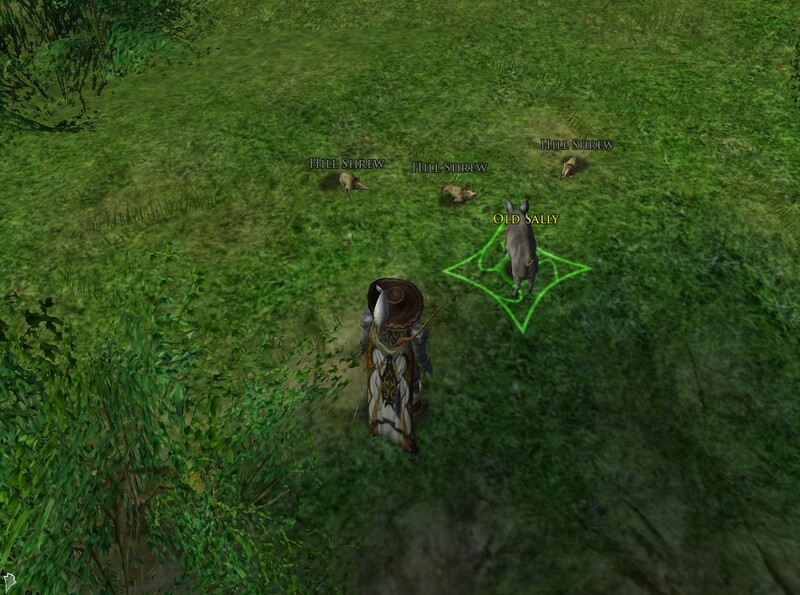 In fact I have so much going on in LOTRO at the moment it is a bit confusing. I have uncollected post, sales, crafting ongoing, Dyort is half way round a Rich Iron harvest, lost in East of Esteldin, Tsuhelm is crafting also in Esteldin, close to guild of woodworkers…but can probably move back to Bree for a while. 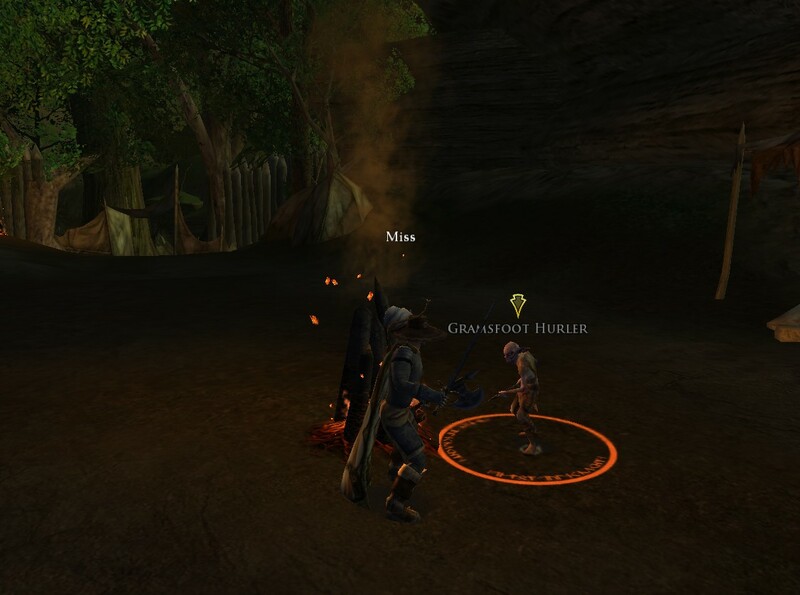 Tordy is on AH duty in Bree and Waywnn is running around Bree wrapping up Men of Bree quests…and contributing to TP grind. Opopa is in Michel Delving, collecting presents and now stealing horses…a right little burgler he is! I hope he is not spending too much in the Bird n Baby! 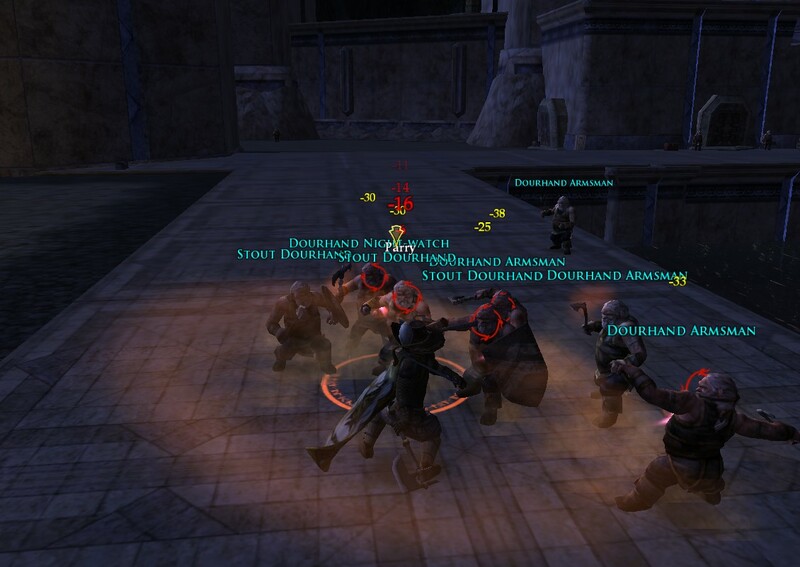 Luflaf AH duty, Llucyd is also Bree questing and deeding…TP grinding! 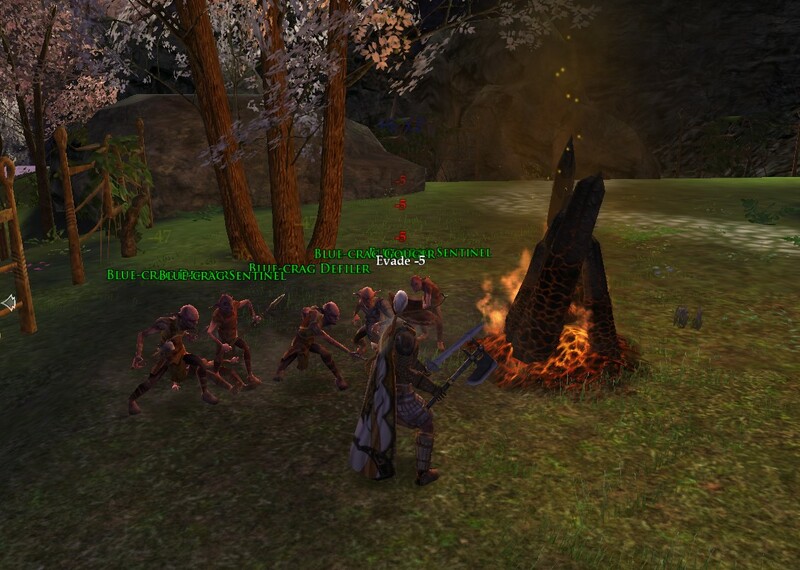 Tsuhhere is ALSO around Bree questing and deeding, new swords should help, as would better armour…TP grinding!